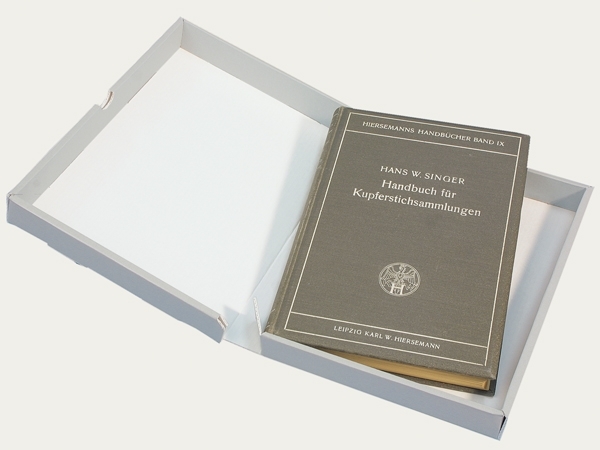 A tightly closing clamshell box suitable for the storage of books, photographic material and all sorts of loose and unbound objects. Available with or without insertion slits and with an additional base reinforcement. 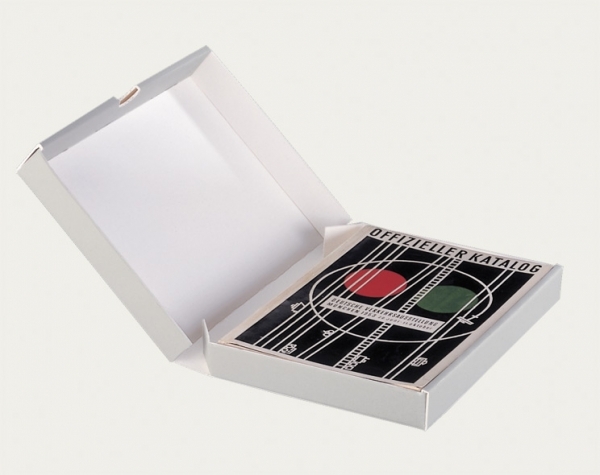 Our most popular archival box and bestseller. 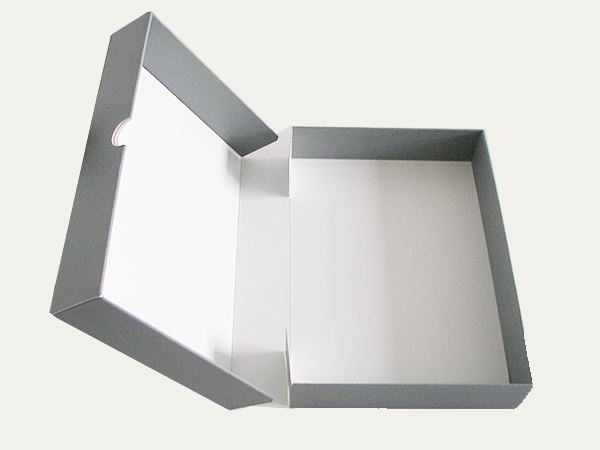 A tightly closing, dustproof clamshell box for books, photographs, loose and unbound objects. Closed, the box has a roundabout, four-fold walled construction for additional strength. Also available with an additional base support. A tightly closing, premium quality clamshell box with round about double walled construction. Made from solid board material, approx. 1.5 - 5.0 mm thickness.